Lock me up and throw away the key. Photo courtesy of St. Regis Deer Valley. Did you ever dream of checking into a hotel and never checking out? For New York writer Joanna Prisco, it happened in Utah. All it took was a few extra s'mores and one perfect Bloody Mary. DEER VALLEY, Utah – As the muscles in my back warmed to the planks of cedar beneath them and I inhaled the earthy, herbal scent of tee-tree oil in the air inside the Remède sauna, a wave of emotion rushed over my body, and I saw my entire life flash before my eyes. Not childhood memories, no. This was a premonition of what my future might resemble if I listened to the voice inside that kept whispering: "Never leave the ." 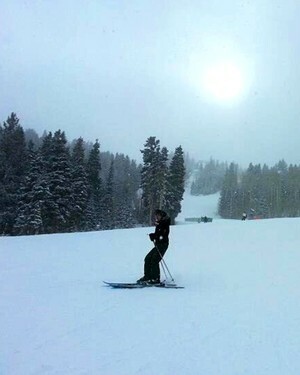 I had been at the ski resort for four days, and I was ready to stay forever. From the moment I boarded the funicular, floating guests from the main entrance up to the front desk as if on the wings of a Mountain Plover, I knew I'd found my true home. The Champagne sabrage ceremony, followed by fireside s'mores ritual at dusk, did nothing to dissuade this notion. 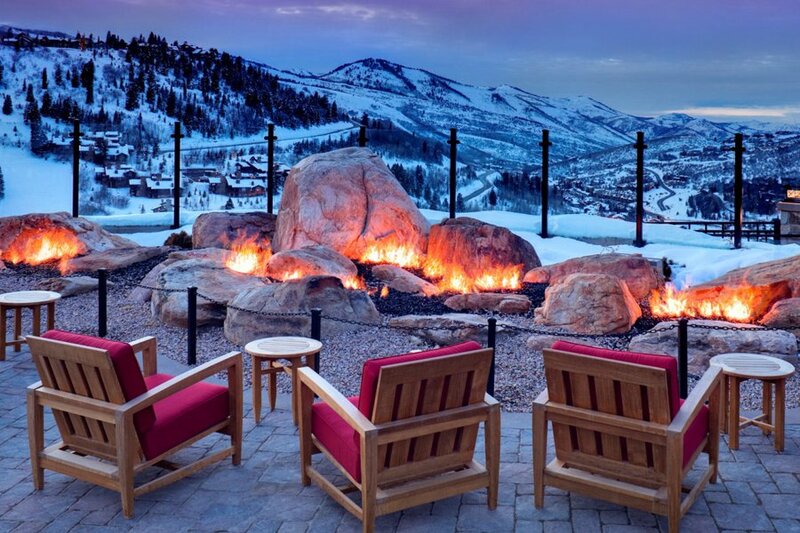 Most lodges in Park City feature fire-pit s'mores in the evening, but here the ubiquitous jet-puffed Kraft cylinders were replaced with house-made pillows of creamsicle fluff that were sandwiched between still-warm chocolate chip cookies or drowned in steaming cups of hot chocolate. I am ashamed to admit that I ate three, after pretending my second square had fallen into the fire. It was dark and an easy fib. Breakfast the following morning at , the hotel's Jean-Georges Vongerichten restaurant, continued to raise the culinary bar with fresh fruit smoothies, pastries and sticky buns, and a vegetable quiche that made me bid farewell to any illusions about sticking to my diet. 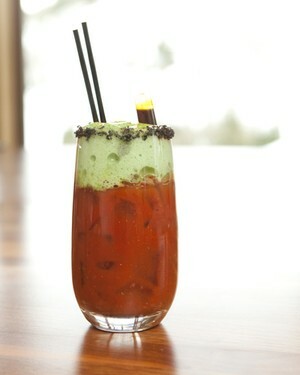 In fact, if I hadn't actually wanted to ski, I might have stayed at the bar all day sipping the signature 7452 Bloody Mary, made with a local oat-distilled vodka and celery foam, rimmed with black lava salt in honor of the area's coal mining roots. But the powder called. Deer Valley has some of the most picturesque skiing landscapes in the United States, and I wanted to cover as much terrain as possible. After a few hours of spectacular shushing and mogul hopping, I stopped for the ski beach buffet prepared by J&G's chef de cuisine — an exhaustive outdoor dining experience with everything from butternut squash soup to freshly carved lamb, all framed by a panorama of majestic slopes. Now imagine doing that over and over again for another three days, broken up by mini field trips to in town or a soak in the bath or dinner inside The Wine Vault, and you'll begin to understand why I warned my boyfriend with significant urgency that I never wanted to leave. "You say that now," he laughed. "But you'd get sick of it pretty soon." Men. They truly are a foreign species. The hotel is currently offering an amazing Spring Skiing package: Any new reservation for March or April of five nights or more includes a superior room, daily breakfast at the J&G Grill ($50 credit per day per room), four hours of skiing with Olympian Shannon Bahrke, nightly Champagne sabering, and nightly s'mores. Rooms start at $674/night. 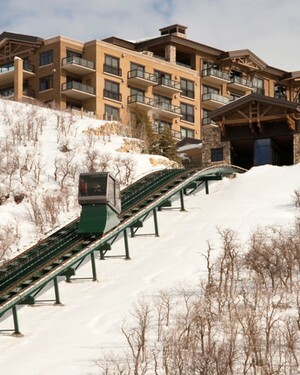 Photos: Funicular and Bloody Mary courtesy of St. Regis Deer Valley; ski slope by Joanna Prisco.